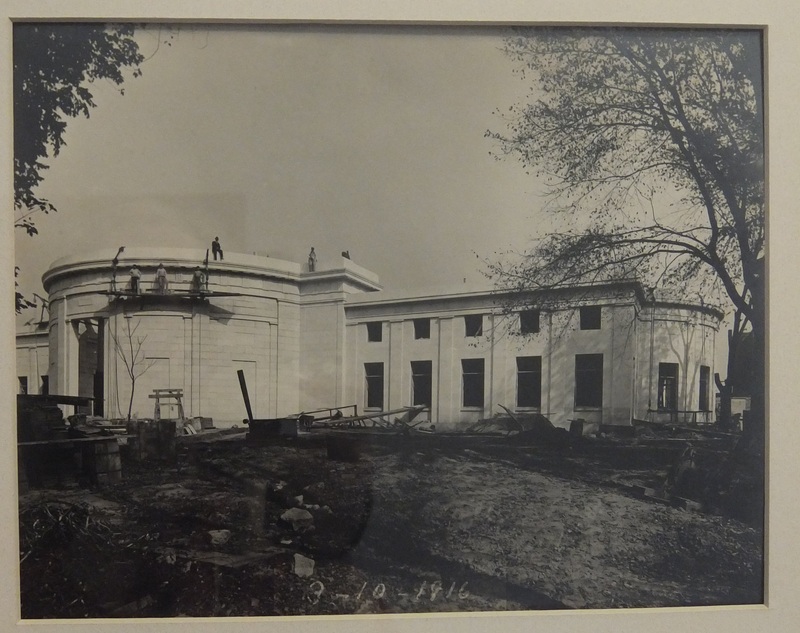 ONE HUNDRED YEARS AGO TODAY (August 10, 1916) this is the progress of the construction of the National McKinley Birthplace Memorial​. The first photos shows that several columns have been erected. 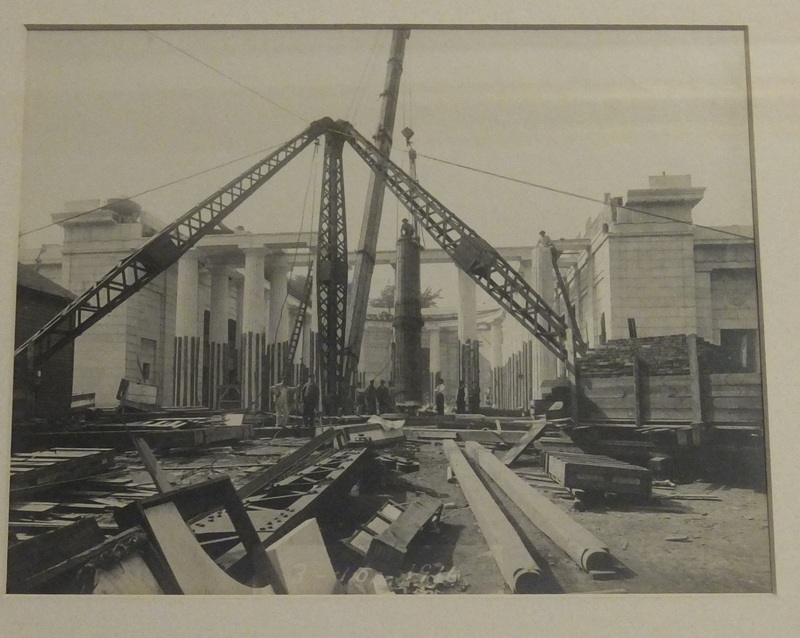 The derrick that was used to erect the columns had to be reinforced, as the columns weighed approximately twenty tons apiece. The second photo shows the rear of the Court of Honor and the library wing. A Niles Daily News construction update of August 11, 1916 stated that workers started work on only one new area in the past week: roofing. Roofing was done by F.V. Schoedinger of Columbus and was to have been completed within four weeks. The roofing consisted of layers of copper and tar felt to reinforce the overlying roofing tiles. Since the copper and tar felt were waterproof, this ensured permanency. O.L. Foote, a representative of the Cream City Sash and Door Company was in Niles to measure the mill work on the Memorial, and to place sashes and doors in building. Mr. Foote was also in charge of interior decorating.